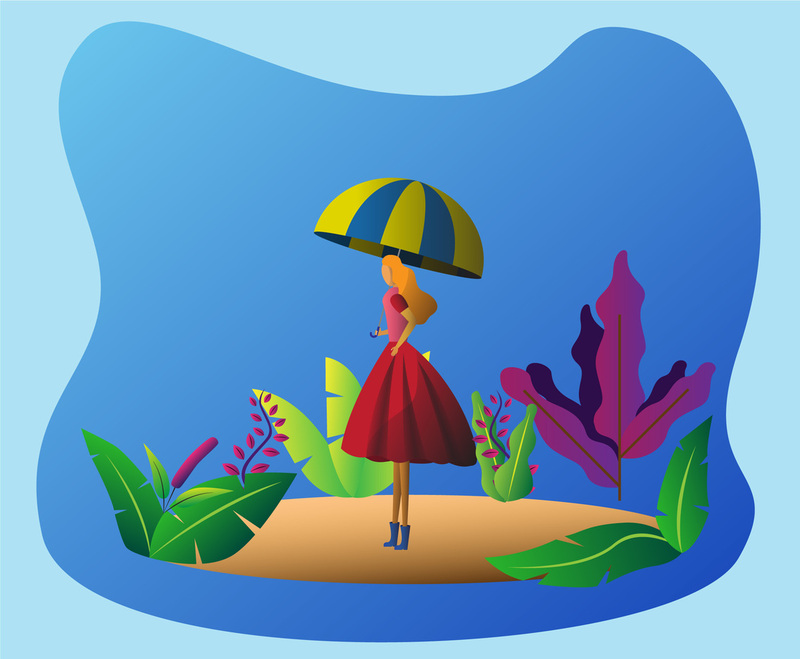 A female character vector illustration walking under the umbrella at a garden or park. The illustration is stylish and flat trendy with gradient effect coloring. Use this vector set as part of weather or season design related.